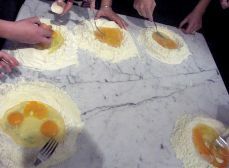 Preparing and cooking a traditional Tuscan meal. 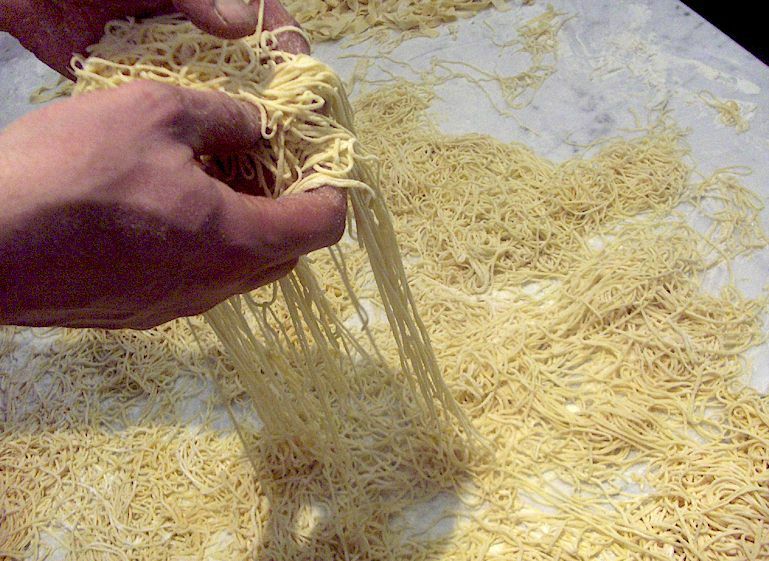 Simplicity in cooking methods and fresh ingredients are the essence of Tuscan cookery. 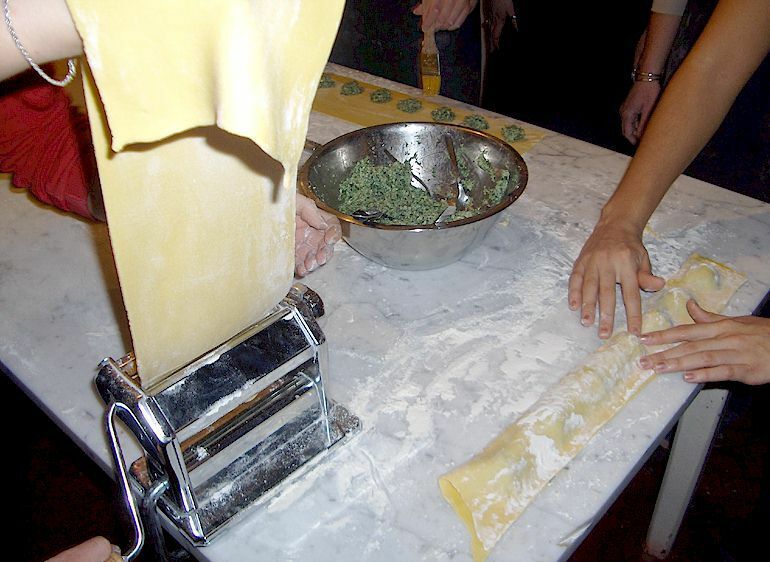 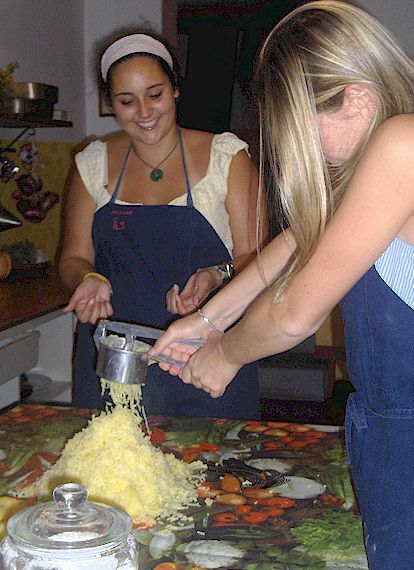 With "Let's Cook", you will experience a hands-on culinary adventure. 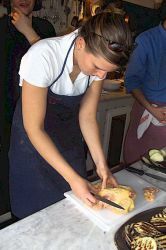 Using the freshest seasonal, local, organic ingredients, you will learn, in an informal, family atmosphere, to prepare the light, tasty dishes of Tuscan culinary tradition. 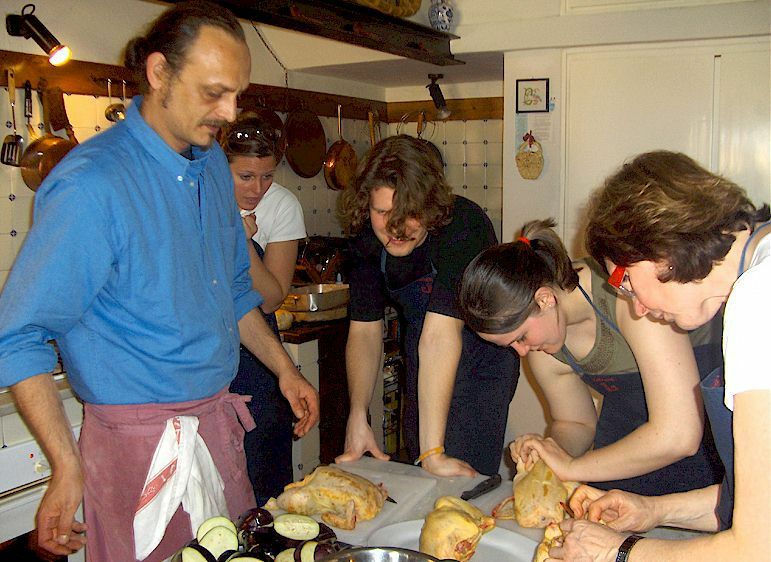 In each class, we will prepare a complete four course meal and, of course, we will savour the fruits of our labour when all the enjoyable work is complete. 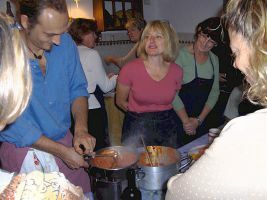 The philosophy of the classes is that cooking tasty Tuscan food should not difficult: what you need are really good ingredients, knowledge of some basic professional techniques, a pleasant and friendly atmosphere and the involvement of all your senses - plus some fantasy. This is why we will provide sustainable, seasonal ingredients, including wine, from local organic and biodynamic farmers, or we will pick the fruit and vegetables directly from our vegetable garden. 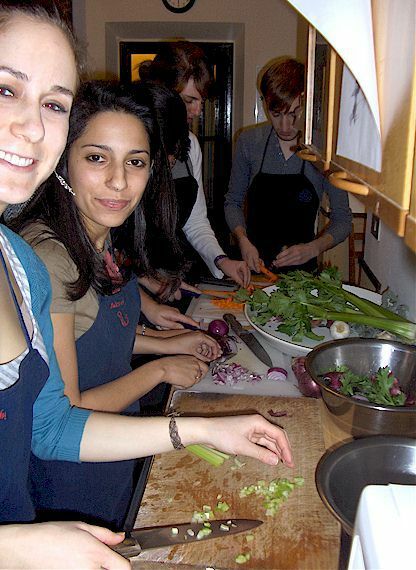 You can join classes in the countryside, in an attractive old farmhouse at Trecento in the area of Montespertoli, where Jacopo and Anna live with their family, or in a beautiful apartment in an historic palace in the centre of Florence.